Overall Morningstar Rating for iShares UK Credit Bond Index Fund (IE) as of 31/Mar/2019 rated against 443.00 GBP Corporate Bond Funds. Overall iShares UK Credit Bond Index Fund (IE) received a Morningstar Rating of 3 stars for the 3-year period, 3 stars for the 5-year period and 3 stars for the 10-year period, rated against 443, 394 and 261 GBP Corporate Bond Funds, respectively. Performance results represent past performance and are no guarantee of future results.&lt;br /&gt;&lt;br /&gt;For each U.S.-domiciled fund with at least a 3-year history, Morningstar calculates a Morningstar RatingTM based on a Morningstar Risk-Adjusted Return measure that accounts for variation in a fund&#39;s monthly performance (including the effects of sales charges, loads and redemption fees), placing more emphasis on downward variations and rewarding consistent performance. The top 10% of funds in each category receive five stars, the next 22.5% receive four stars, the next 35% receive three stars, the next 22.5% receive two stars and the bottom 10% receive one star. (Each share class is counted as a fraction of one fund within this scale and rated separately, which may cause slight variations in the distribution percentages.) The Overall Morningstar Rating for a fund is derived from a weighted-average of the performance figures associated with its 3-, 5- and 10-year (if applicable) Morningstar Rating metrics.&lt;br /&gt;&lt;br /&gt;Morningstar Ratings are for the share classes cited only; other classes may have different ratings. Overall Morningstar Rating for iShares UK Credit Bond Index Fund (IE), Inst, as of 31/Mar/2019 rated against 443 GBP Corporate Bond Funds. BlackRock have not considered the suitability of this investment against your individual needs and risk tolerance. To ensure you understand whether our product is suitable, please read the Key Investor Information Document. Investors should read the fund specific risks in the Key Investor Information Document and the Company’s Prospectus. We strongly recommend you seek independent professional advice prior to investing. If, after reading this factsheet, you have any questions or would like any additional information please contact your financial adviser or speak to our Investor Services Team on 0800 445522. 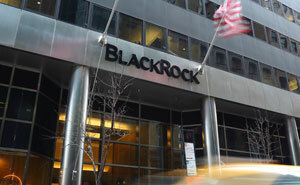 This fund is a sub fund of the Blackrock Fixed Income Dublin Funds (the Fund). The fund is organised under the laws of Ireland and authorised by the Central Bank of Ireland as UCITS for the purposes of the UCITS Regulations. Investment in the sub-fund(s) is only open to 'Qualified Holders', as defined in the relevant Fund Prospectus. Any decision to invest must be based solely on the information contained in the Company’s Prospectus, Key Investor Information Document and the latest half-yearly report and unaudited accounts and/or annual report and audited accounts. Investors should read the fund specific risks in the Key Investor Information Document and the Prospectus. Issued by BlackRock Investment Management (UK) Limited, authorised and regulated by the Financial Conduct Authority. Registered office: 12 Throgmorton Avenue, London, EC2N 2DL. Tel: 020 7743 3000. Registered in England No. 2020394. For your protection telephone calls are usually recorded. BlackRock is a trading name of BlackRock Investment Management (UK) Limited. When this document is issued in the EEA, it is issued by BlackRock (Netherlands) B.V.: Amstelplein 1, 1096 HA, Amsterdam, Tel: 020 – 549 5200, Trade Register No. 17068311. For more information, please see the website: www.blackrock.com. For your protection telephone calls are usually recorded. BlackRock is a trading name of BlackRock (Netherlands) B.V.. © Current year Morningstar. All Rights Reserved. The information, data, analyses, and opinions contained herein (1) include the proprietary information of Morningstar, (2) may not be copied or redistributed, (3) do not constitute investment advice offered by Morningstar, (4) are provided solely for informational purposes and therefore are not an offer to buy or sell a security, and (5) are not warranted to be correct, complete, or accurate. Morningstar shall not be responsible for any trading decisions, damages, or other losses resulting from, or related to, this information, data, analyses, or opinions or their use. © Current year BlackRock, Inc. All Rights reserved. BLACKROCK, BLACKROCK SOLUTIONS, iSHARES, BUILD ON BLACKROCK, SO WHAT DO I DO WITH MY MONEY and the stylized i logo are registered and unregistered trademarks of BlackRock, Inc. or its subsidiaries in the United States and elsewhere. All other trademarks are those of their respective owners.